This fight has been seven years in the making. 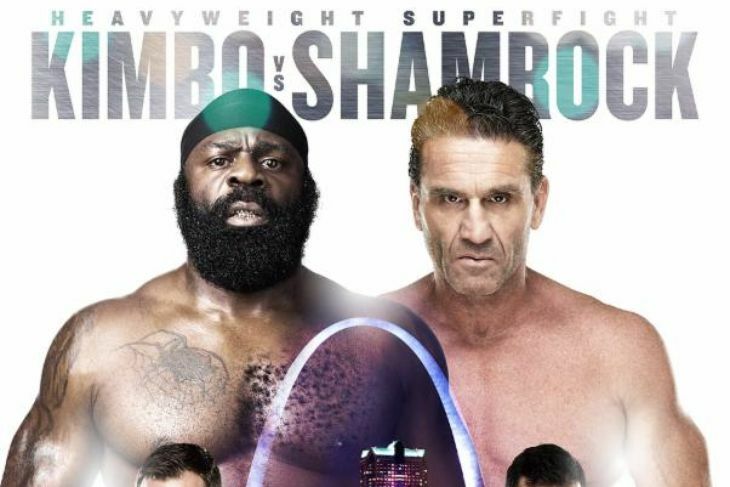 Kimbo Slice and Ken Shamrock will finally square off Friday, June 19 at Scottrade Center in St. Louis. Shamrock and Slice were scheduled to fight in 2008, but just days before the fight, Shamrock suffered a cut during training and was forced to withdraw. Shamrock, 51, said training for this fight was the most difficult thing he’s ever had to endure. Shamrock has a career MMA record of 28-15. He is considered to be one of the pioneers of MMA fighting. Shamrock recently tweeted out photos of his physique following a training session. The 51-year-old fighter looks to be in the best shape he’s ever been in. Slice said he has not seen the photos and does not care to see them. Both men were asked if they plan to continue fighting after the fight on June 19. Slice, on the other hand, said this is just the beginning of his relationship with Bellator and Spike TV. Slice confirmed that he has signed a multi-fight deal with Bellator. While Shamrock hasn’t fought in five years and Slice has been out of MMA for a few years, both men are expecting a competitive fight. Slice said he has worked on a few things to improve his game. The former street fighter was once looked at as just being a brawler, unable to take a fight to the ground. Tickets are still available for the fight through Ticketmaster.com. Spike TV will air the fight live at 8 p.m. on Friday, June 19.